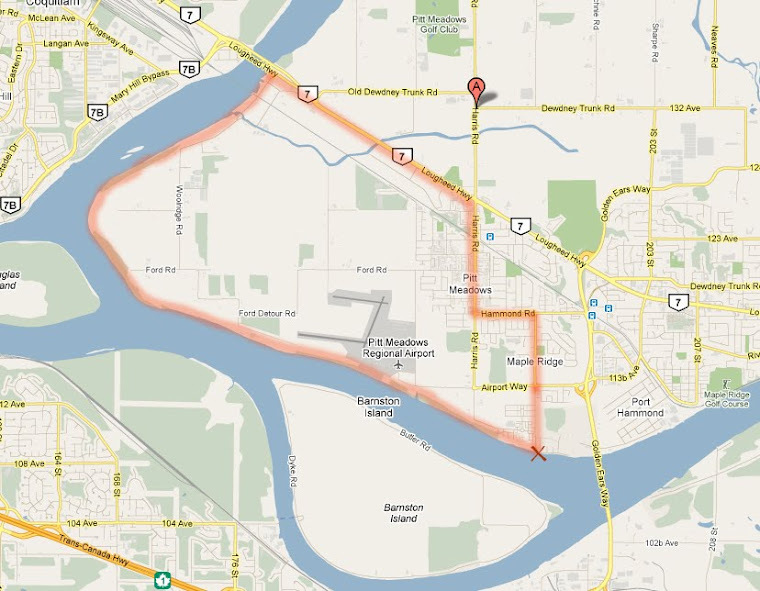 Maple Ridge/Pitt Meadows Cyclist: A great day for a ride around Barnston Island! A lovely little ferry ride over to the island. A few other cyclists had the same idea to tour the island. A 9.8 kilometer circle of virtually carless, pastoral bliss. Take the whole lane... both of them! Along the route... reminds us of a Saltspring Island scene.